﻿ What Instruments do we use to Identify Stainless Steel Wire and Mesh? - Anping County Zhuoda Hardware Mesh Co., Ltd.
What Instruments do we use to Identify Stainless Steel Wire and Mesh? Not only are we often asked to identify wire and mesh but also how we do it and what instruments we use. 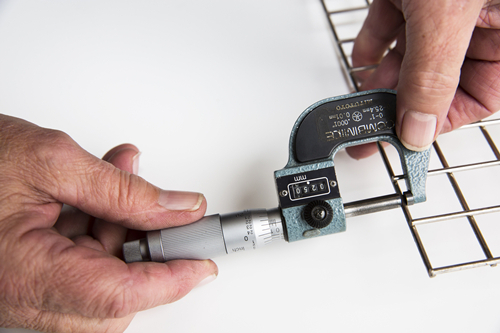 To accurately measure the diameter of a wire, a micrometer or vernier calliper is used. These days, most micrometers and verniers have a digital read out, making them much easier to read than earlier instruments. A digital vernier calliper is often called a digital calliper. A typical small vernier calliper has a measurement resolution of 0.01mm, a measurement accuracy of ±0.03mm, and a measurement range of 150mm. A small micrometer typically has a 10 times better measurement resolution of 0.001mm, a measurement accuracy of ±0.004mm and a measurement range of 25mm. Stainless Steel Wire and Mesh supplies stainless steel wire in diameters from 0.4mm to 8mm. 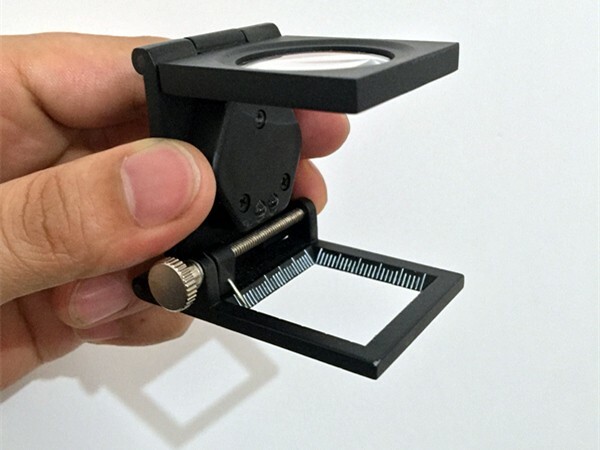 Both the micrometer and the vernier are suitable instruments with which to measure these diameters, although a micrometer would be preferable for diameters smaller than about 1mm. 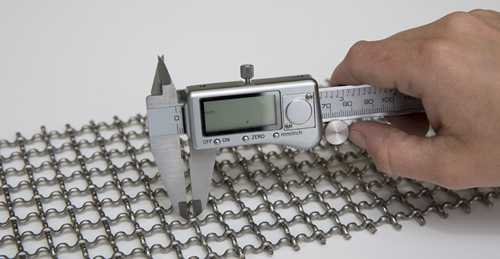 When it comes to fine wire mesh, the vernier is not up to the job. Stainless Steel Wire and Mesh supplies mesh with wire diameters from 0.025mm diameter to 3.15mm diameter. Clearly, a measuring instrument with a resolution of 0.01mm is not suitable for measuring a wire diameter of 0.025mm, and a micrometer must be used. We suggest that a micrometer should be used for wire diameters of 1mm or less. Two measurements are necessary to define the mesh – Mesh and Wire Diameter. All other parameters can be calculated from these two. We have already discussed the measurement of wire diameter. Now we need to count the wires per inch of mesh. 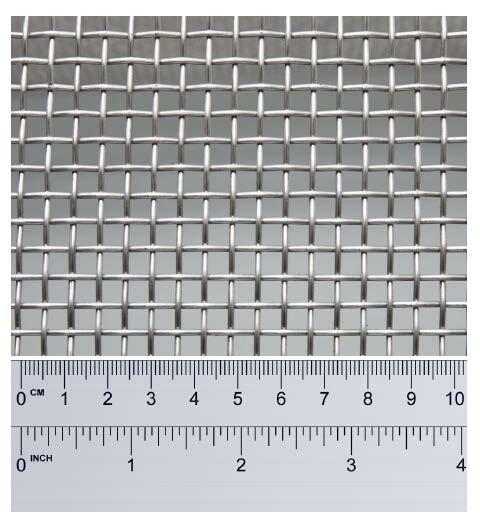 Stainless Steel Wire & Mesh supplies meshes ranging from 1 to 500. It is easy to count the wires per inch of meshes up to about 10 but more difficult for meshes above this. At the extreme is mesh 500 which has 500 wires of diameter about half that of a human hair! For these higher meshes we use an instrument called a Counting Glass which greatly magnifies the view. If you count the wires between the ½ inch you multiply the number of wires by 2 and if you count the wires between the ¼ inch you multiply the wires by 4.